What would you say is the greatest benefit about living in the current time period in history? Certainly there’s a lot of choices to choose from. Would you say it is the amazing advances in technology and the Internet? How about medical care advances and science? Perhaps it’s the ability to travel most anywhere relatively inexpensively and easily. How about the simplicity of communicating with almost anyone across the globe? Maybe it’s as simple as the ability to have safe shelter, security and plenty of food. What is clear is that the current times we live in are really remarkable compared to past times. 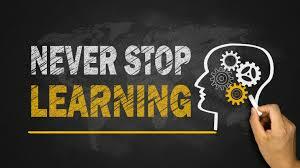 I am going to suggest that the greatest benefit we have living in the current times is the ability and access to learn absolutely anything we can think of. Think about that for a while. You can learn absolutely anything you can possibly think of, relatively easy and probably for free. Never before in history has this been available. Consider what that could mean for you.